In 1462, the first African slaves were brought to the island of Cape Verde by the Portuguese colons. It is supposed that they were the first inhabitants of the archipelago. They carried with them the rhythms and the seeds of what became the BATUQUE: a music form, performed mostly by women, both singers and dancers. The singers, repeat very strong lyrics, sitting in a circle and beating the rhythm with their hands on a piece of cloth between their legs. While one woman performs a very sensual dance with her hips in the middle of the circle. During the colonial era, it was strongly forbidden but it remained alive in clandestinity. 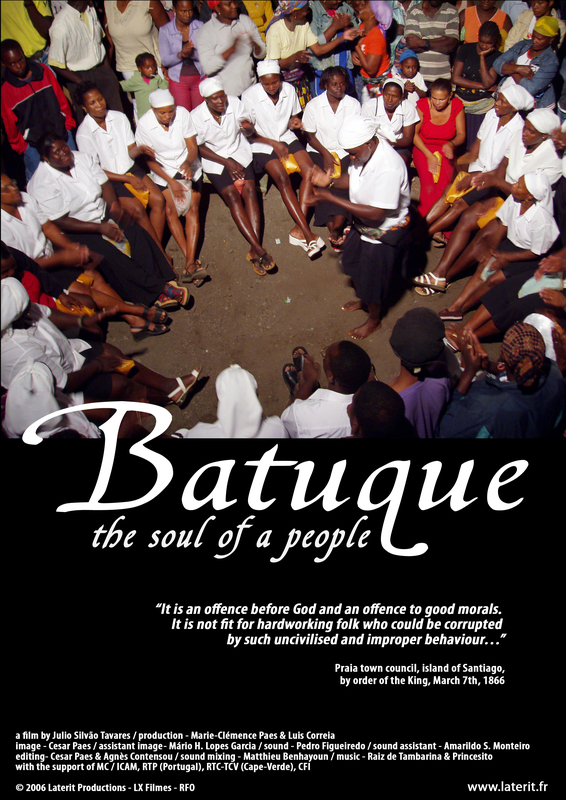 The group Raiz de Tambarina, one of the oldest groups of Batuque on Santiago island, is composed of ordinary people, saleswomen, fish-sellers, drivers... Through their every day life and performances, we discover Cape Verde today and their passion for the Batuque.